Falmouth College Student President, Sam Holland has secured an offer from Churchill College in Cambridge to study Natural Sciences. Sam has always excelled in the sciences and mathematics throughout his time at Falmouth School and College and has chosen to specialise in Biological Sciences. Sam explained that it was a gruelling interview process last autumn; “They ask questions to join up areas of Biology we study at A level and really pushed you. It was a tough process, but a great experience.” Falmouth College has had more applications to university than ever before this year, with Sam joining a record number of students in Year 13 at Falmouth College with offers from the Russell Group of universities (the top research and teaching institutions) including Exeter, Cardiff, Southampton, Imperial College and Bristol. Falmouth College start the process early in Year 12 and give students every opportunity to maximise their chances of success with interview practice, student leadership, mentoring, the Medical academy, work experience, university experiences and the Extended Project Qualification which Sam is entering with a research report on the future of antibiotics. 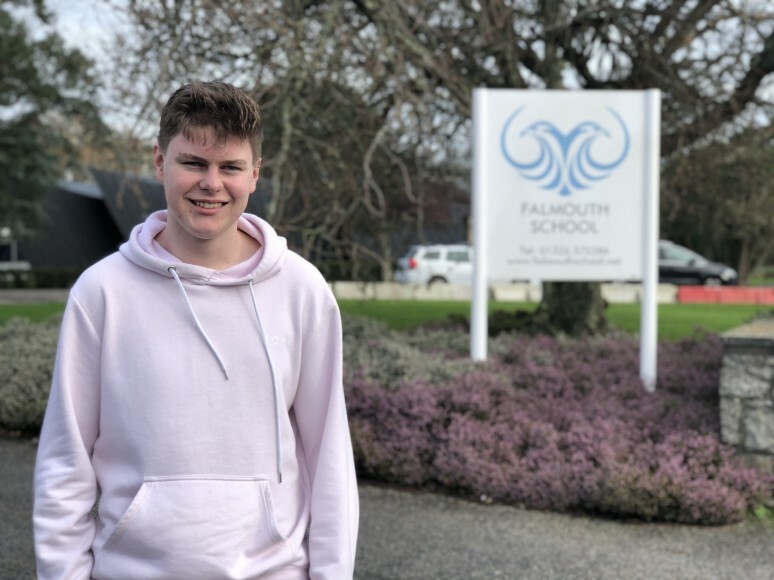 Falmouth College Open Evening is next Thursday at 5.30pm to 7.30pm where Sam will be presenting in his role as President and telling current Year 11 students from Falmouth School and surrounding schools about the support he received.